Kirby Hall used to be one of the finest Elizabethan manor in the country. It was constructed in 1570 by Sir Christopher Hatton in the prospect of receiving Queen Elizabeth I. Numerous additions were made in the 17th and 18th centuries, by Sir Christopher Hatton' son and great-grand-son. Although the mansion was later abandoned and fell into disrepair, the Great Hall and State Rooms have recently been restored and redecorated to their original grandeur. Most of the house is neverthelless in a semi-ruined state. The late 17th-century gardens were lauded as the most exquisite of their time and are still pure delight. 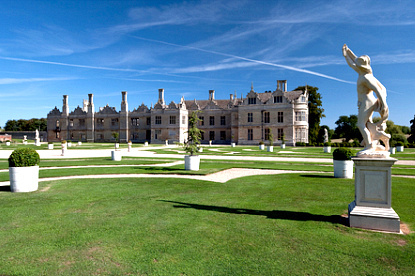 Kirby Hall is the property of the Earl of Winchilsea, and is managed by the English Heritage. Kirby Hall is open Thursday to Monday (daily in July-August) from 10am to 5pm (until 6pm in July-August, and until 4pm from Nov. to March). It is closed from 24 to 26 December and 1 January. Admission is £45for adults, £3 for concessions, and £2.5 for children. 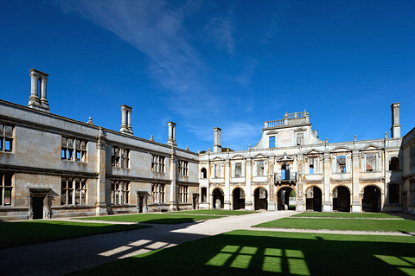 Kirby Hall is on the A43 road, about 6km north-east of Corby and 20km west of Peterborough.